US Federal Contractor Registration is reporting the release of the Hand Tools and Toolboxes solicitation in New Jersey posted to FedBizOpps (FBO) on April 16, 2015. The Hand Tools and Toolboxes solicitation response date is current set in record for May 1, 2015. The United States Federal Government as of 04/16/2015 has 244 open Solicitations in New Jersey where they are currently seeking out properly registered government contractors. According to the new USA Spending website, the federal government has so far spent over $143 billion in government contracts over the course of 850,194 government transactions in 2015. New Jersey specifically has spent almost $2 billion in government contracts in fiscal 2015. 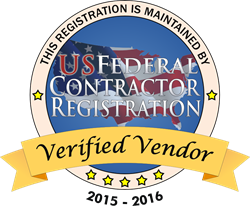 Please see the below available contract released by US Federal Contractor Registration, additional New Jersey contracts can be found at https://www.uscontractorregistration.com. US Federal Contractor Registration is reporting the release of the Hand Tools and Toolboxes solicitation in New Jersey posted to FedBizOpps (FBO) on April 16, 2015. The Hand Tools and Toolboxes solicitation response date is current set in record for May 1, 2015. Every business interested in bidding on the Hand Tools and Toolboxes solicitation must be properly registered in System for Award Management (SAM), as well as have the North American Industry Classification System codes 332216 - Saw Blade and Handtool Manufacturing, and 332 - Fabricated Metal Product Manufacturing filed in their SAM account/vendor profile. The Naval Air Warfare Center, Lakehurst, intends to procure hand tools and toolboxes for the Joint Strike Fighter F-35 Tool Control Program. This will be a sole source procurement with IDSC Holdings, LLC, Snap-On Industrial (Cage 55719). IDSC Holdings, LLC, Snap-On Industrial independently developed and created the Design Control Activity for this program. IDSC Holdings, LLC Snap-On Industrial was competitively awarded a contract from Lockheed Martin for the JSF LRIP 4 tool procurement and have since been awarded the LRIP 5, LRIP 6, LRIP 7, and LRIP 8 tool procurements. The Government does not own the technical data rights or drawings. This acquisition is being pursued under the sole source basis under the statutory authority of 10 U.S.C 2304(c)(1), as implemented by Federal Acquisition Regulation (FAR) 6.302-1, only one responsible source and no other supplies or services will satisfy agency requirements. Unless stated herein, no additional information is available. Requests for the same will be disregarded. A determination by the Government not to compete this effort is solely within the discretion of the Government. GENERAL INFORMATION: There is no commitment by the Government to issue a solicitation, make an award or awards, or be responsible for any money expended by interested parties before award of a contract for the effort described above. Information provided herein is subject to change and in no way binds the Government to solicit or award a contract. Businesses that would like to learn how to bid on available opportunities or register in SAM can call Acquisition Specialist Nicole Smith at 1(877) 252-2700 Ext 732. Vendors have been enrolling in the Simplified Acquisition Program to win available government contracts, network with procurement officers across the nation, and qualify their business for government contracting. Businesses that would like to learn more about the Simplified Acquisition Program can visit http://www.simplifiedacquisitionprogram.org/.